​In the remote mountains of Arizona, Nora Abbott’s husband has just been found dead. These ancient lands hold a murderous secret. A rural town, filled with Native American history, is being torn apart by corporate interests and corruption. Nora Abbott is caught in the middle, struggling to keep her small business from going bankrupt. But when Nora’s womanizing husband is murdered in cold blood, gossiping locals and law enforcement suspect she might be responsible. As allies become enemies and friends become suspects, Nora takes it upon herself to find out who really killed him. 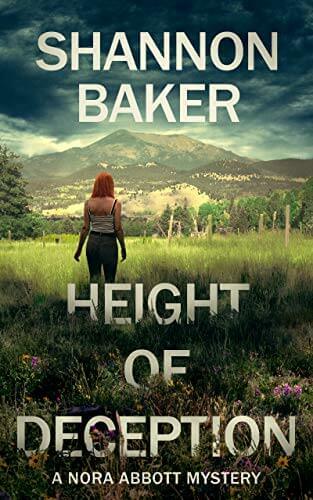 Height of Deception is the first of the Nora Abbott mysteries. Recommended for mystery and thriller fans of James Patterson, C.J. Box, and J.D. Robb.